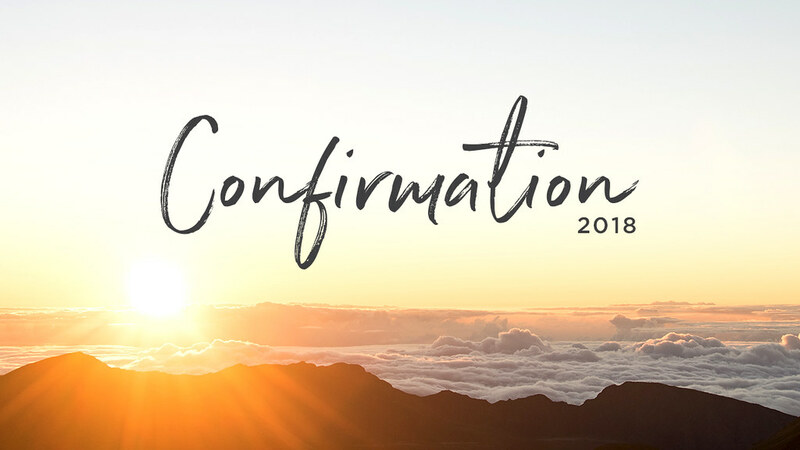 Please plan to attend this special day planned for our confirmands this Sunday, November 11th, during the 11:00 a.m. worship service. We are planning an Apple Trip to the mountains this Thursday, November 8th. We will depart from the church at 9:00 a.m. and travel to the Blue Ridge Mercier Orchards and also have lunch there at the Southern Charm Restaurant. On the way back home, we will stop at Panorama Orchards/Red Barn at Ellijay. The sign-up sheet is on the Gathering Room table or you may contact Ken & Linda Allison at 404.277.8975 for further information. Hope you can attend this fun trip. Come join us on Wednesday nights at 6:00 p.m. for supper. Prices are $7 for Adults & $5 for Kids. Please make your reservations by Tuesday at noon by visiting our website and clicking on the sign-up link or clicking on the link below. Join us today, November 5th, at Jefferson’s Cedartown for a dine-out benefiting Murphy-Harpst! 10% of the day’s sales will go to benefit Christmas for the kids at Murphy-Harpst. Come join us for some delicious food and fun while helping some of Georgia’s most vulnerable children. UMCOR (United Methodist Committee on Relief) distributes relief kits when there is a natural disaster. There is now a need to restock their relief kits such as cleaning buckets and hygiene kits because the demand due to the recent hurricane disaster. These kits will go to a UMCOR relief supply depot and be stored there until there is a request for them; then they are shipped to those who need them. On Wednesday, November 7th, following Fellowship Supper, we will assemble hygiene kits. Hygiene kits provide basic necessities to people who have been forced to leave their homes because of natural disasters. The needed supplies will already have been purchased and we will assemble the kits. Please plan to be present and participate in this activity. The Samaritan House, an emergency food pantry in Cedartown, currently needs soup. To help meet that need, CFUMC will have a Soup for the Samaritan House Drive. No pack-a-sack this time — just bring your cans of soup as you come to church. There will be a box for soup collection in the Gathering Room and another one in Fellowship Hall. Sunday School classrooms will also have a container for collecting soup cans. This Soup Collection will run for the first two full weeks in November or from now until November 18. Please plan to bring your contribution of soup during this time and help the Samaritan House re-stock their supply of soup. The missions committee hopes you will support this way of giving to the Samaritan House and help them help those who need food assistance at this time. It’s time to begin preparing for our children and youth Christmas Program. Rehearsals will be held at 6:30 p.m. on Wednesday nights following supper starting this Wednesday, November 7th. The Christmas Program will be held on Sunday, December 23rd during our 11:00 a.m. service. A special thanks goes out to Erin Casey for heading up this wonderful program. We hope to see all of you there! Now until November 25th, you are encouraged to sign up to participate in the “Hanging of the Greens” service on November 28th by lighting a candle or hanging a wreath. Sign-up sheets will be located in the Sunday school rooms, Gathering Room, and Fellowship Hall for your convenience. We will have a theme for Advent (four weeks before Christmas) that will include yard signs, banners, invite cards and social media advertising. Let’s invite Cedartown to a wonderful season of “Unwrapping the real meaning of the season” for 2018. Be on the lookout for more to come. Be on the lookout for our creative advertising as we invite the community to our themed Advent season … “What It’s Really All About … Unwrap the true meaning with us this Christmas”. You can help by inviting and welcoming, placing posters and yard signs and handing out invite cards. Here is our holiday line up with more to come. A new learning opportunity for our church family. You are invited to enroll in this FREE online course and learn at your own pace. You will be asked to set up an account and can enroll and login at your convenience. At the end of the class, you will receive a certificate of completion. Go to … https://www.umctraining.org/product?catalog=What-It-Means-to-be-United-Methodist. Please bring a little extra for this special offering. Classic Hits with a Delightful Twist! The 2019 summer schedule is now posted on Glisson’s website. There is a new registration system in place so returning campers will need to create a new account and fill in the information required. For further information, please visit their website at glisson.org. Most people never dive deeply into who God created them to be and how God created them to lead. ELI is specifically designed to be that deep dive. It’s not a Bible study, or a Sunday school class, or a passion-packed worship event. It’s a guided tour of who God created you to be, how God created you to lead, what it means to be a servant leader, and what it means to live in Christian community. Highly trained coaches guide rising 11-12th graders to discover their God-given gifts, reflect on what it means to function as a Christian community, and practice servant leadership while making a difference as day camp counselors. Check out the link and to register, scholarships available, at www.elileader.org. Prayer Ministry Wednesdays at 9 a.m.
We have a new ministry at Cedartown First … A Prayer Journey. We meet every Wednesday in the Sanctuary at 9 a.m. for a time of reflection and prayer. This will be an excellent way to start your day and re-energize your mid-week. You are invited to come and be a part of this journey as we seek greater depth in our relationship with God, with His heart for our church and community, and with one another.